How much does FI cost? Tuition to attend Foundation Institute is $1,500. This includes the entire nine-month program and all textbooks. Students are responsible for all other living expenses for their nine months in the program. If you are interested in more detailed information on the estimated costs for attending the nine-month program, please contact us. How long does FI last? Foundation Institute is a nine-month program of study. The FI calendar corresponds to a typical university calendar, running from mid-August until mid-May of the following year. Are there breaks during the FI program? Passover/Feast of Unleavened Bread break. FI is also closed on all holy days and major national holidays. Does FI provide student housing? Foundation Institute offers housing for students. 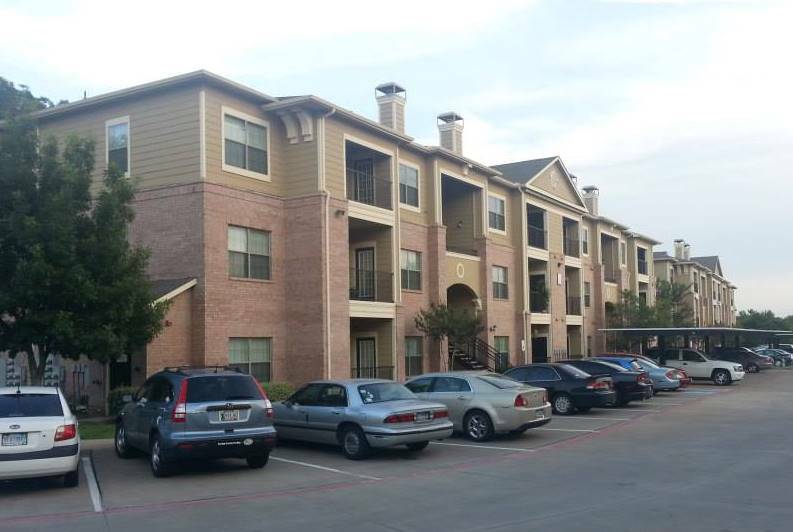 We lease apartments in a complex located five minutes from the FI classroom, which we then sublease to our students. In each apartment we typically will have three or four students who then split the lease, which includes the base rent, all utilities and wireless Internet. We recommend college-age students stay in the Church-provided housing for reasons of convenience, security, proximity to FI and to help build bonds of friendship. The apartments are move-in ready and come furnished with furniture, beds, kitchen utensils and cleaning supplies. Students supply their own linens, towels and personal items, and are also responsible for cleaning and maintaining their own apartments. The apartment complex we use offers many amenities—including two swimming pools, a workout room, a clubhouse and a walking trail—and is located adjacent to a public park that has basketball courts, tennis courts, football and baseball fields and a walking track. Students are offered the opportunity to request student housing when they are notified of their acceptance into the FI program. What will I learn at FI? The fundamental doctrines of the Bible. Explaining the faith and comparative religion. The canonization of the Bible. For a full description of the courses offered at FI, see Classes. What is a day at FI like? Foundation Institute is a rigorous program of Bible and Christian living instruction. Depending upon the material being covered, the schedule may vary, but classes typically begin between 8:30 and 10:30 a.m. and run until 4:20 p.m. with 10-minute breaks between all classes and a 70-minute lunch break. Since the Foundation Institute program involves more than academic instruction in the Bible, we have found that students are most successful when they have had a year or two of college and/or work experience after completing their secondary education. Therefore, the preferred age for a Foundation Institute student is 20 and over. Students who are 19 years old and have had one full year of on-site college classes (excluding high school dual-credit and online classes) are welcome to apply. There is no maximum age for study at FI, and we welcome older students in the program. What are the education requirements for attending FI? The minimum educational requirement for Foundation Institute is a high school diploma (or GED). Though postsecondary education is helpful for success at FI, it is not required that students have college experience or a college degree to attend FI. How much work will I have at FI? Foundation Institute is primarily lecture-based but does include occasional individual assignments, group projects and assessments. Assignments and assessments vary based on the class and instructor. What kind of extracurricular activities does FI offer? Foundation Institute is not only an institution of academic study, but a holistic environment designed to provide a positive, life-changing nine-month experience. Along with the biblical knowledge students gain, living in the student apartments provides numerous opportunities for social interaction, occasional group meals, group study and athletic recreation. Students form relationships that can last a lifetime. In addition to activities the students themselves may organize and sponsor, FI also sponsors many events throughout the year, including field trips to sites in the Dallas-Fort Worth area, game nights, movie nights, attending a rodeo, a Super Bowl party, occasional dance classes for those interested, and other social opportunities. FI students are also encouraged to participate in the many happenings sponsored by the local Dallas and Fort Worth congregations. Do students have opportunities to participate in the work of the Church? Helping in the IT department. Working on various aspects of the Church’s websites. Contributing to other media projects. Serving in the local Dallas and Sherman congregations. Gain a deeper understanding of the entire Bible. Better understand and explain the doctrines of the Church of God, a Worldwide Association. Recapture true values by learning how to apply the laws, principles and lessons of the Bible to your daily life. Build a stronger relationship with God the Father and Jesus Christ. Capture a deeper vision of the Kingdom of God and the work God is doing on earth today. Be an active part of something greater than yourself through service and commitment to God’s work. Develop stronger relationships with others in the Church of God. Develop a higher level of cultural literacy through unique cultural opportunities. Grow and develop life skills in a positive environment.